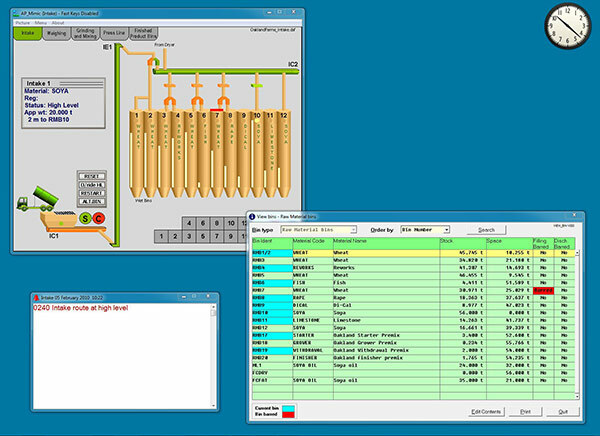 AutoPilot4Feed has a built-in simulation system which is a useful testing and training facility. 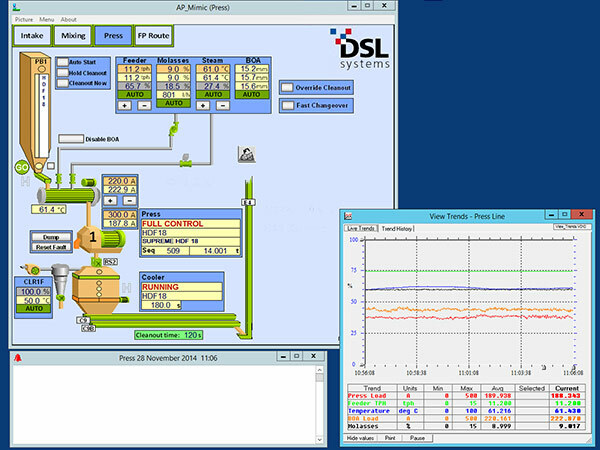 When the system is configured with real-time simulation parameters, it can be used to help engineers redesign a plant and diagnose potential bottlenecks. 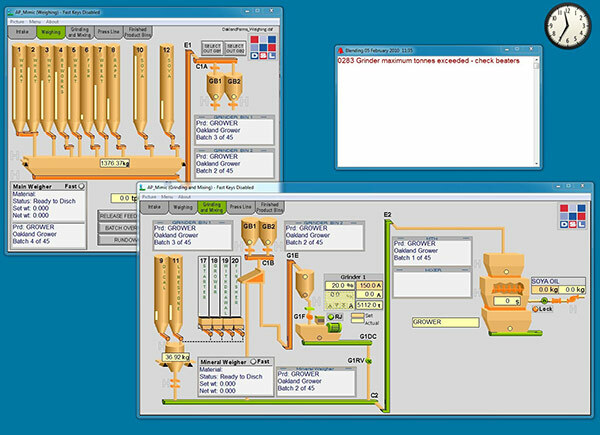 AutoPilot4Feed is based on one or more standard Microsoft Windows PCs and readily connects to most common PLC and Input/Output systems e.g. Mitsubishi, Allen Bradley, Omron, Siemens, Telemechanique, Wago and Pamux Opto 22. 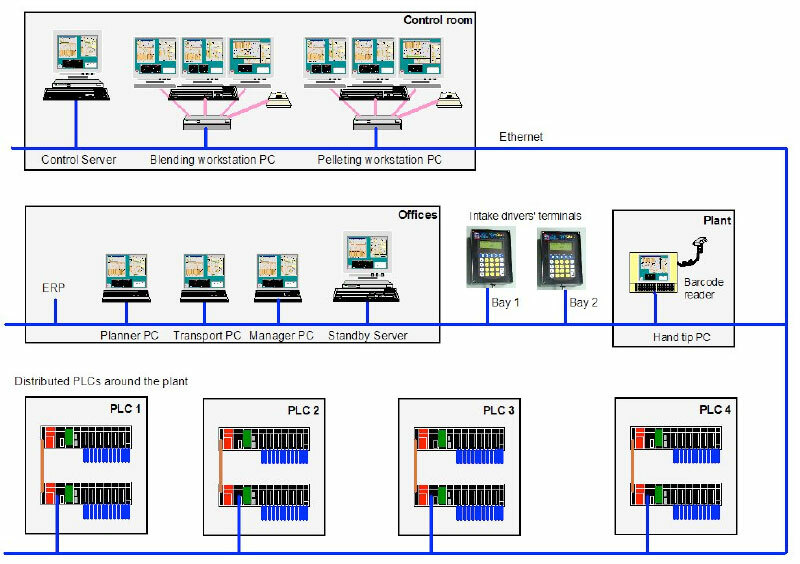 This allows competitor or legacy process control systems to be economically upgraded with minimal disruption and wiring changes by reusing the existing PLCs. Windows server may be used for larger systems with Thin Client PCs used for operator workstations. Thin Client computers are suitable for industrial environments as they do not have a hard disk. This makes them easier to set up and they are more rugged and more reliable. 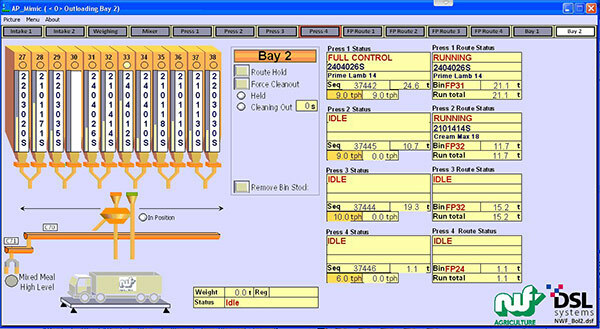 AutoPilot4Feed’s software is a mature and well proven system with many installations across the world. 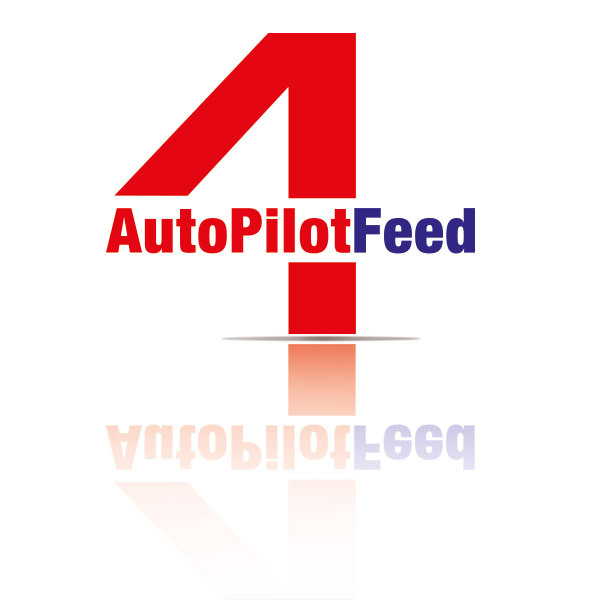 AutoPilot4Feed has a secure menu system that prevents unauthorised access. In the unlikely event of a serious fault with the control server, a standby server can take over to minimise downtime. AutoPilot4Feed is simple to operate and operators are provided with clear and consistent graphics that show exactly what is happening. 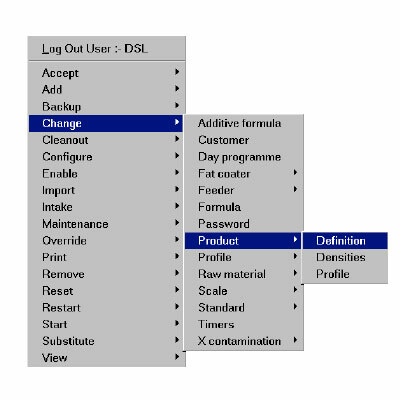 Clicking on the screen with the cursor gives the operator access to most commonly used functions. 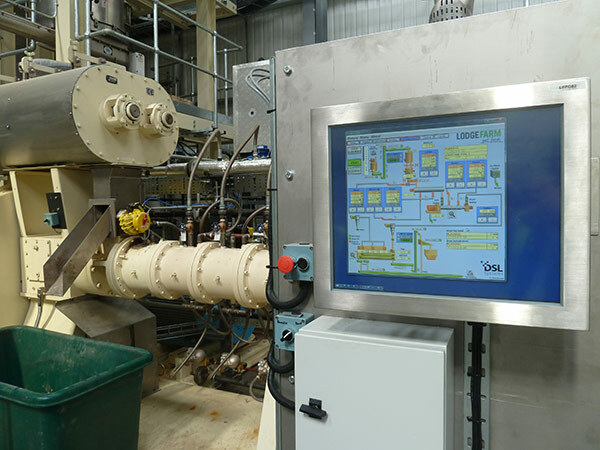 Pop-up information boxes give the user more detailed information on the status of the plant. A simple menu/password system is built-in for access to other options and is fully user configurable. Alarms are displayed in clear language and unnecessary alarms are not generated. 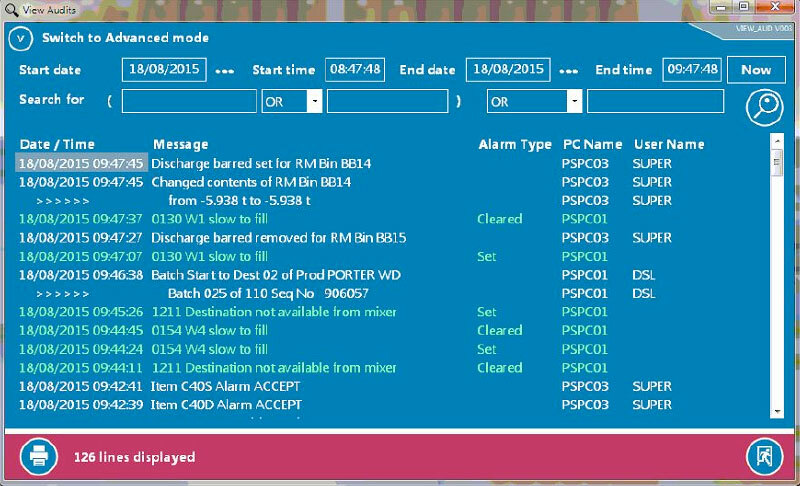 Unacknowledged alarms are displayed in red at the top and important alarms can be prioritised. Alarms can also trigger sirens, lamps, SMS messages or email.. 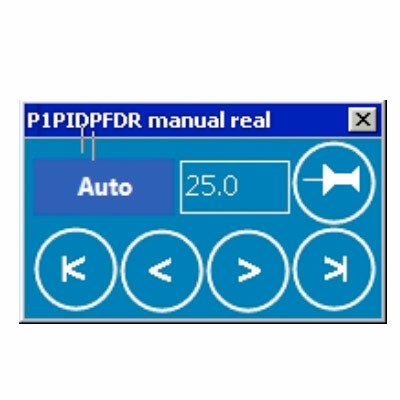 Powerful manual override controls are easy to use by moving the cursor on the graphics to the faulty item. One click allows an alarm to be accepted or the item to be forced to any state, access level permitting. Variable speed drives are configured with a manual override box which pops up by clicking on the drive. 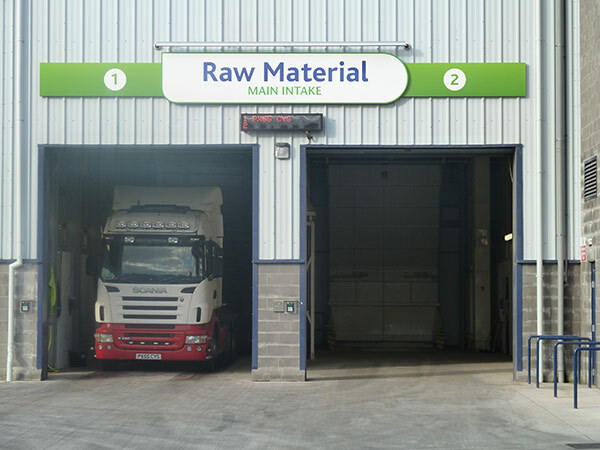 Every operation performed by the operator is logged to the audit trail providing a long-term record of what has happened and when it took place. A powerful utility is provided to search and view these audit messages which may be stored for seven years online. 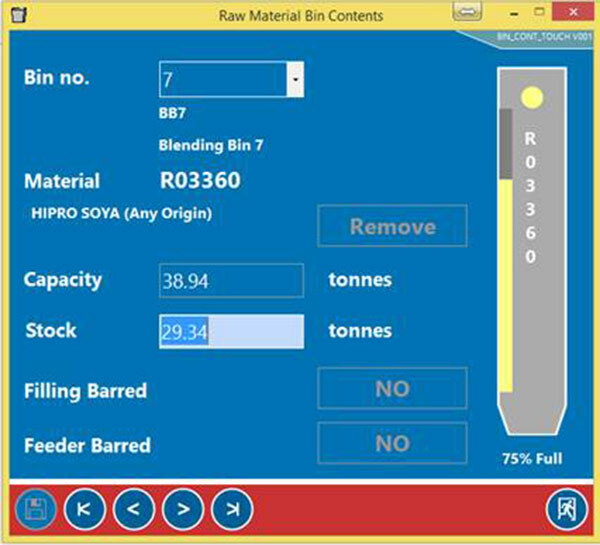 Comprehensive management information is recorded by AutoPilot4Feed and can be accessed using online viewing programs or printable reports which may be customised using the Crystal Reports package. All data is stored in an open SQL Server database. 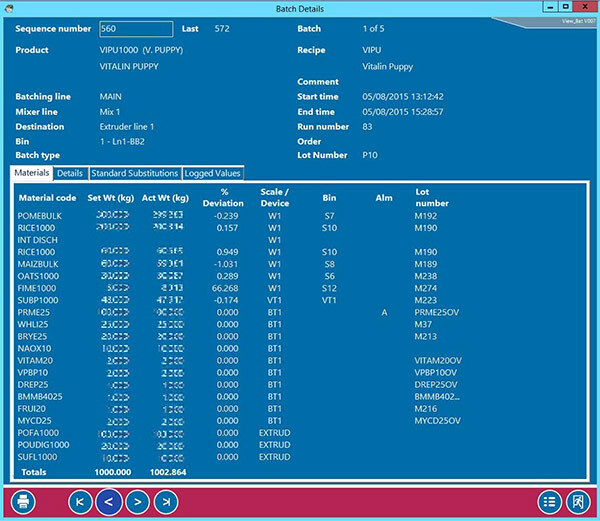 AutoPilot4Feed will log all intake transactions, batch records, stocks, audits/alarms, usages, production, pellet press/extruder runs and outloading transactions. 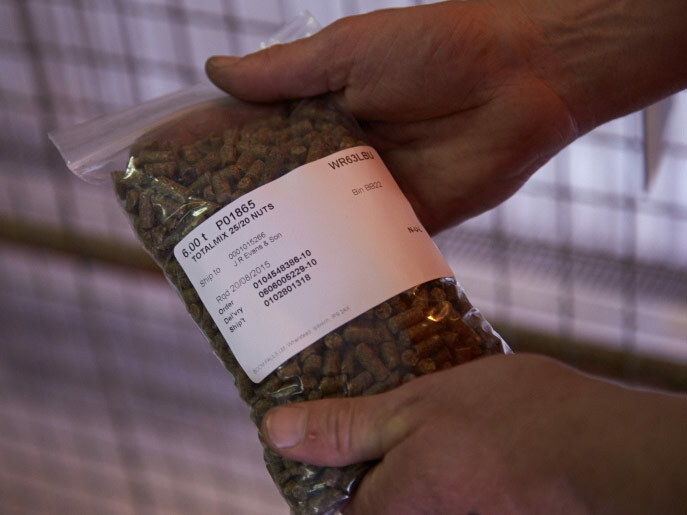 This data is stored online for up to seven years and can be viewed with AutoPilot4Feed’s simple-to-use facilities. 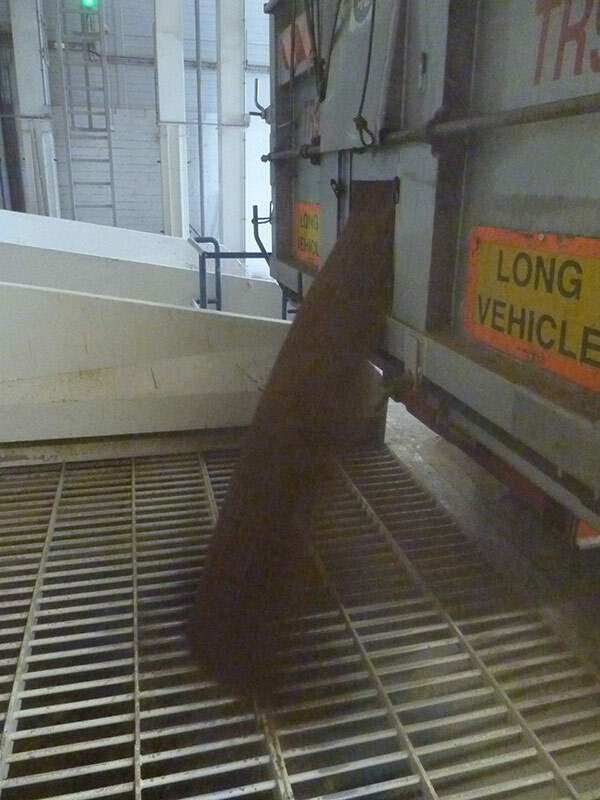 This satisfies most sites’ requirements and helps mills to achieve the required quality standards and approvals. Data may be printed and can be exported to a spreadsheet or another computer system. 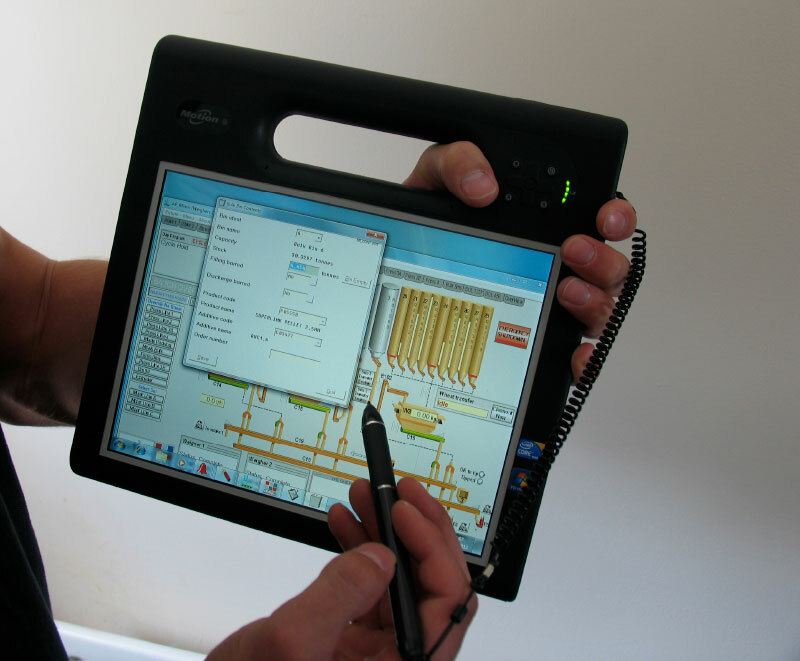 A rugged tablet PC that has been installed with AutoPilot4Feed, allow operators and maintenance staff to go about their tasks without having to be tied to a workstation. 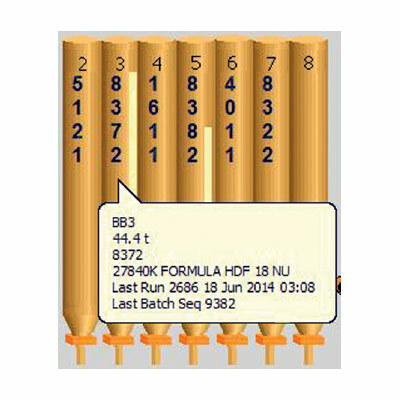 All the facilities of AutoPilot4Feed are available. 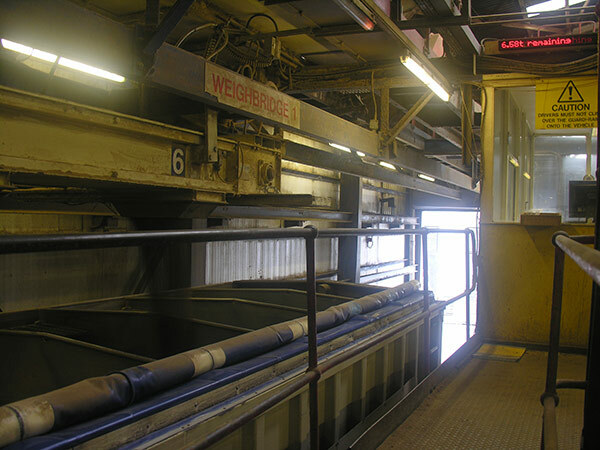 Particularly useful features when you are on the move, are the stock control features and equipment override function for maintenance purposes. It even has a built-in barcode reader. 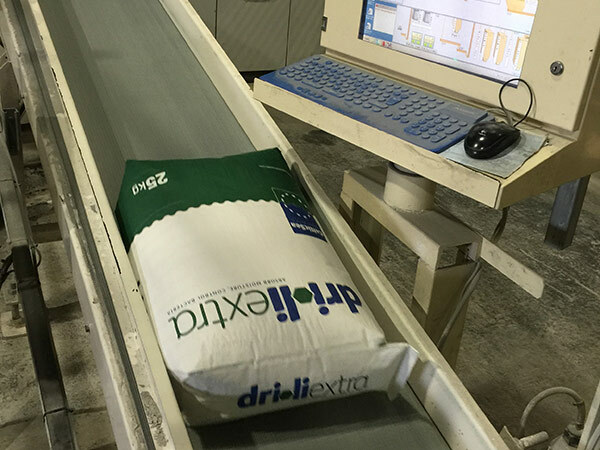 AutoPilot4Feed has been successfully integrated with Format International, Microsoft Dynamics, Adifo/Bestmix, CORE Software, Cultura, SAP, Pegasi, ICS Perito, Feed Management Systems (FMS), Brill, Agris, M-Tech, Pegasus Opera in addition to many bespoke and local systems.